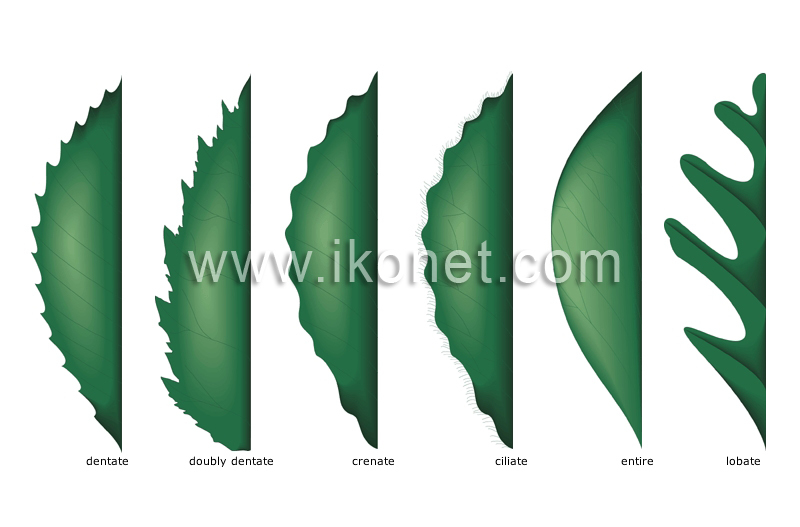 Leaf edges vary markedly, depending on the shape and depth of their indentations. Leaf edge with rounded teeth. Leaf edge indented with deep notches. Leaf edge with no indentations. Leaf edge surrounded by short thin hairs called cilia. Leaf edged with teeth of different sizes, the main tooth often having smaller teeth. Leaf edged with pointy teeth of similar size.